NCERT Solutions for Class 10 Math Chapter 2 Polynomials are provided here with simple step-by-step explanations. These solutions for Polynomials are extremely popular among class 10 students for Math Polynomials Solutions come handy for quickly completing your homework and preparing for exams. All questions and answers from the NCERT Book of class 10 Math Chapter 2 are provided here for you for free. You will also love the ad-free experience on Meritnation’s NCERT Solutions. All NCERT Solutions for class 10 Math are prepared by experts and are 100% accurate. Therefore, the zeroes of are 4 and −2. Therefore, the zeroes of 4s2 − 4s + 1 are and . Therefore, the zeroes of 4u2 + 8u are 0 and −2. Therefore, the zeroes of t2 − 15 are and . Therefore, the zeroes of 3x2 − x − 4 are and −1. Let the polynomial be , and its zeroes be and . 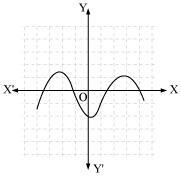 Therefore, the quadratic polynomial is 4x2 − x − 4. 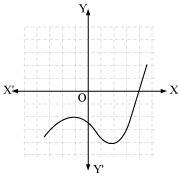 Therefore, the quadratic polynomial is 3x2 − x + 1. Therefore, the quadratic polynomial is . 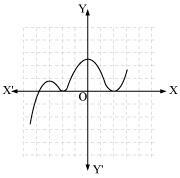 Let the polynomial be . Therefore, , 1, and −2 are the zeroes of the given polynomial. Therefore, the relationship between the zeroes and the coefficients is verified. Therefore, 2, 1, 1 are the zeroes of the given polynomial. Comparing the given polynomial with , we obtain a = 1, b = −4, c = 5, d = −2. Hence, the relationship between the zeroes and the coefficients is verified. Find a cubic polynomial with the sum, sum of the product of its zeroes taken two at a time, and the product of its zeroes as 2, − 7, − 14 respectively. Let the polynomial be and the zeroes be . Hence, the polynomial is . Therefore, we divide the given polynomial by . As it has the term , therefore, there will be 2 zeroes at x = −1. Hence, the zeroes of the given polynomial are , −1 and −1. On dividing by a polynomial g(x), the quotient and remainder were x − 2 and − 2x + 4, respectively. Find g(x). 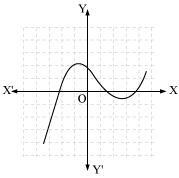 Degree of a polynomial is the highest power of the variable in the polynomial. Degree of quotient will be equal to degree of dividend when divisor is constant ( i.e., when any polynomial is divided by a constant). Let us assume the division of by 2. 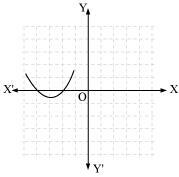 Degree of p(x) and q(x) is the same i.e., 2. Clearly, the degree of q(x) and r(x) is the same i.e., 1. Degree of remainder will be 0 when remainder comes to a constant. 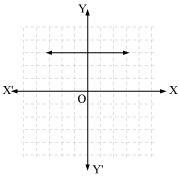 Let us assume the division of x3 + 1by x2. Hence, a = 1 and b = or . Given that 2 + and 2­­ are zeroes of the given polynomial. For finding the remaining zeroes of the given polynomial, we will find the quotient by dividing by x2 ­− 4x + 1. It can be observed that is also a factor of the given polynomial. Hence, 7 and −5 are also zeroes of this polynomial. will be perfectly divisible by . It can be observed that will be 0.